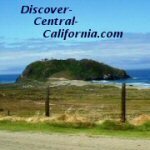 Discover-Central-California.com is a site about all the varied and various attractions, sights, events, things-to-do, restaurants, hotels and recreational activities of the Central California Coast and inland areas. Every site, in order to be successful, needs links. However, they need to be HIGH quality links. For links beyond this site, you might consider Value Exchange. If you would like to link to Discover Central California, you can copy and paste the code below into your own website. A local's comprehensive travel guide to Central California's hidden treasures. This part of the Golden State is more like the relaxed and friendly California of 100 years ago. We'll show you how to have the best California vacation, romantic or weekend getaway. Wineries, events, attractions, back road drives, festivals, beach fun, restaurants and hotels are all covered. Profusely illustrated. If you wish, there is a logo (150px x 150px) available for adding to the text above. Right click to save. There are two ways for you to submit your travel related website to Discover Central California. The first method is for a traditional link exchange (a few lines about your site and a graphic if you wish). If approved, these will appear on our Vacation Destinations page. Click here to drop down to the submission form for this method. The second method (and remember you can choose both if you wish) is to submit a longer article about your travel website along with up to four photos! The same type of link back would be nice, but isn't required. There is no charge for this if your site is a general travel related site. The form for this second method is accessible here. Tell Our Readers About Your Travel Website! What is special about your travel site? Tell us!